BELLEAIR SHORE, Fla. — Take one look at the photos of this Belleair Shore mansion and your jaw will drop. There's no wonder it set the record as the highest-priced residential sale in the Tampa Bay Area. The beachfront mansion, located at 1700 Gulf Boulevard in Belleair Shore was owned by former Phillies All-Star Ryan Howard and it just sold for $16,500,000. The 3-story mansion was listed by Jackie Diaz and Karen Hegemeier of Premier Sotheby's International Realty's Clearwater office and Rafal Wazio of Coldwell Banker brought the buyer. The 19,000 square foot, eight bedroom, seven bathroom mansion looks out at the Gulf of Mexico and it's right on the beach. It has a lazy river pool with waterfall, bridges, bar and grotto. Inside, it has a bowling alley, secure art room, Napa-inspired wine room (I'm sold) and features custom ceilings and finishes throughout. The mansion has an eight-car garage with chef's kitchen, fitness center, game room with bar, custom home theater, library and panic room. Howard, a three-time all-star who spent 13 seasons with the Phillies, was named Rookie of the Year in 2005 and crowned Most Valuable Player in 2006. In 2008, he led the Major League in homeruns (48) and RBIs (146), while helping the Phillies win their first World Series title since 1980 — its second in franchise history. “Boasting the utmost in style and comfort, and a luxury lifestyle, this estate represents the epitome of luxury living in Tampa Bay. 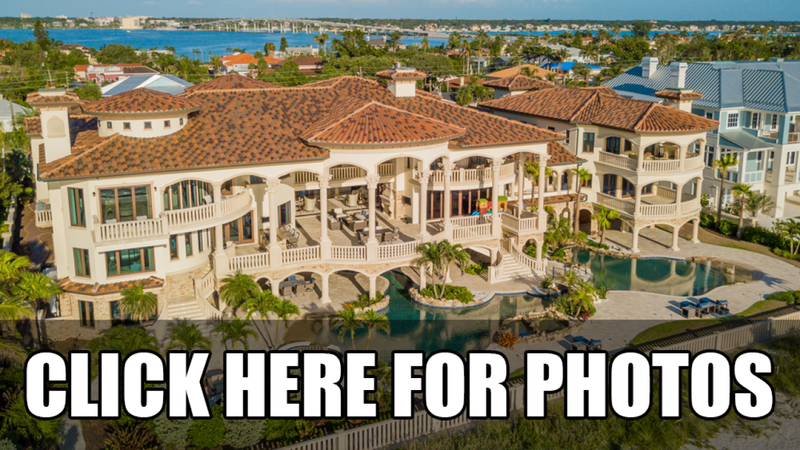 Selling a private listing is the most challenging feat any luxury agent could face, especially when that listing is the most expensive in Tampa Bay. Knowing that I had the full support of Premier Sotheby’s International Realty and the company’s international reach, we were confident we could find the right buyer" said Jackie Diaz of Premier Sotheby’s International Realty in Clearwater.